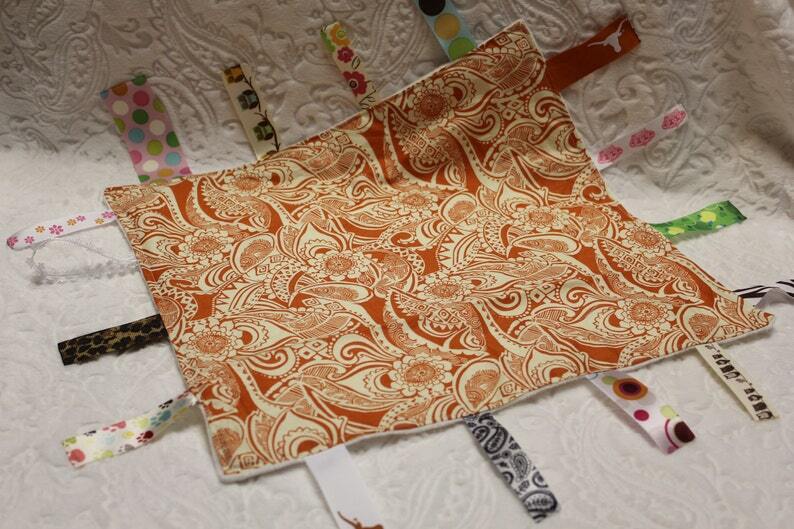 One side is a cream minky dot fabric and the other is an orange and cream floral/damask fabric. The ends of the ribbons have been heat cured to prevent fraying. I can add a pacifier attachment to one of the ends if you would like, please let me know when you are checking out if you would like one added (at no additional cost).